Today is Black Friday, the day shoppers everywhere have been waiting for! If you are anything like me and will be avoiding the crowds you can still find lots of great deals online! If you haven't checked out Ebates yet, there is no time like the present (Haha, Christmas present). When you sign up you will get a $10 gift card with your first $25 purchase! 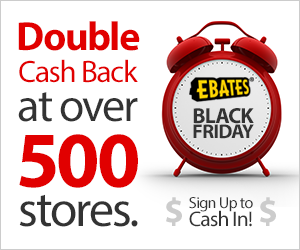 Today they have over 500 stores that are offering Double Cash Back, plus they have coupons and free shipping for some stores. It is definitely worth checking out. I love getting my cash back check at the end of every quarter. 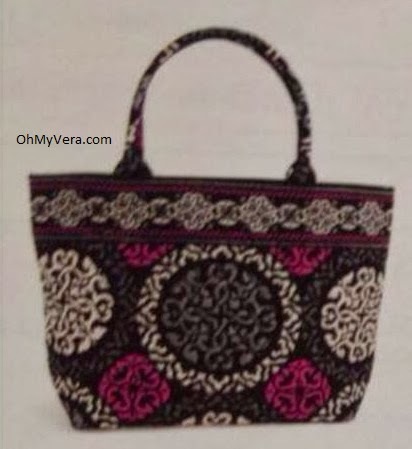 They have great stores for shopping for Vera Bradley including: Ebags, QVC, Barnes and Noble just to name a few. Make sure to check back Monday...I have something coming up you aren't going to want to miss!